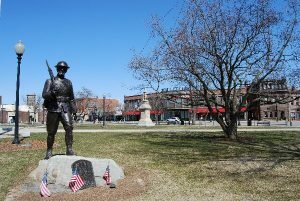 Taunton was incorporated as a town on September 3, 1639 and named after Taunton in Somerset, England where many of the founding members were originally from. Taunton is also known as the “Silver City”, as it was a historic center of the silver industry beginning in the 19th century when companies such as Reed & Barton, F. B. Rogers, Poole Silver, and others produced fine-quality silver goods. Today Taunton is home to over 55,000 people and hundreds of businesses. Just down the road from Taunton is Mid City Scrap. Located at 548 State Rd in Westport, MA, Mid City Scrap has been the premier choice for scrap metal recycling for Taunton and surrounding towns such as Raynham, Dighton, Lakeville, Middleboro, and others for over half a century. Since 1951 Mid City Scrap has purchased scrap metal directly from the public as well as offer container service, specialized equipment, and complete turnkey recycling solutions to the commercial, industrial, and municipal sectors of our area. Mid City Scrap publishes our public cash prices daily and has experienced representatives ready to assist you with your commercial, industrial, and municipal recycling questions and requirements. Please contact us for more information at 774-319-5420 or come visit our facility located at 548 State Rd in Westport, MA. Experience the customer service and advantages we provide through computerized purchasing systems, state-of-the-art machinery, and of course automated cash payments.